Three independent reports highlight implications of 2 °C versus more ambitious objectives for human rights, the workplace, and migration and displacement. The 20 states forming the Climate Vulnerable Forum (CVF), chaired by Philippines, urged today the UN Framework Convention on Climate Change to reconsider the current 2 °Celsius* climate goal to be reaffirmed at the Paris climate summit (COP 21) this December. Presenting three new independent reports, the Forum qualified 2 °C as “inadequate”, posing serious threats for fundamental human rights, labour and migration and displacement, among other factors. “The reports underscore just how much difference even half a degree of additional heat makes for people’s lives, for working conditions and for the movement of people. How can we possibly subscribe to more than double current warming given what less than 1 °C has entailed? When we see that warming emissions from the energy sector actually stalled last year despite economic growth, or if we look at the unpredicted pace of low-carbon tech uptake, arguments not to strengthen our aims start to wear thin,” commented Secretary of the Philippines Climate Change Commission, H.E. Mary Ann Lucille L. Sering. The reports, produced by leading experts and scientists, emphasize the risks of allowing the increase of global temperatures to reach as high as 2 °C and connect climate change to human rights, the workplace and migration. Each report addresses information gaps under the UN climate convention’s 2013-2015 Review of the current internationally agreed goal to limit the rise in temperatures to not more than 2 °C. In the report on labour, a group of scientists at the Ruby Coast Research Centre outlined the profound adverse consequences of extreme heat resulting from climate change on work, human performance, daily life, and the economy for large parts of the world. Qualifying human mobility as a key factor for consideration of a lower temperature goal, the migration and displacement discussion paper was produced by the Nansen Initiative, a bottom-up international consultative process on displacement in the context of disasters and climate change, led by the Governments of Switzerland and Norway. “The effects of climate change on human mobility are a global reality that keeps growing in complexity and proportion. States we have consulted systematically emphasize the need to respond now and prepare for the future. 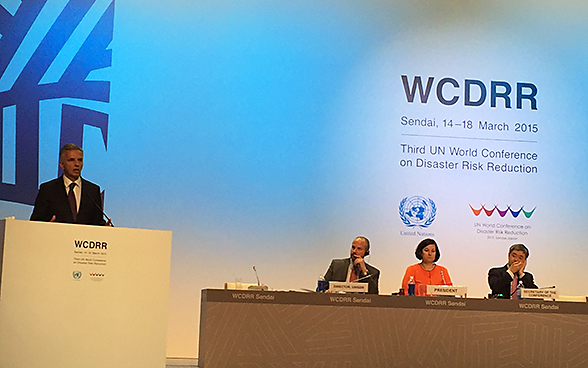 Based on IPCC reports, we know that higher temperatures will increase the frequency and intensity of disasters and raise sea levels, putting coastal cities and urban housing at risk, and leading to more displacement with devastating consequences for communities. 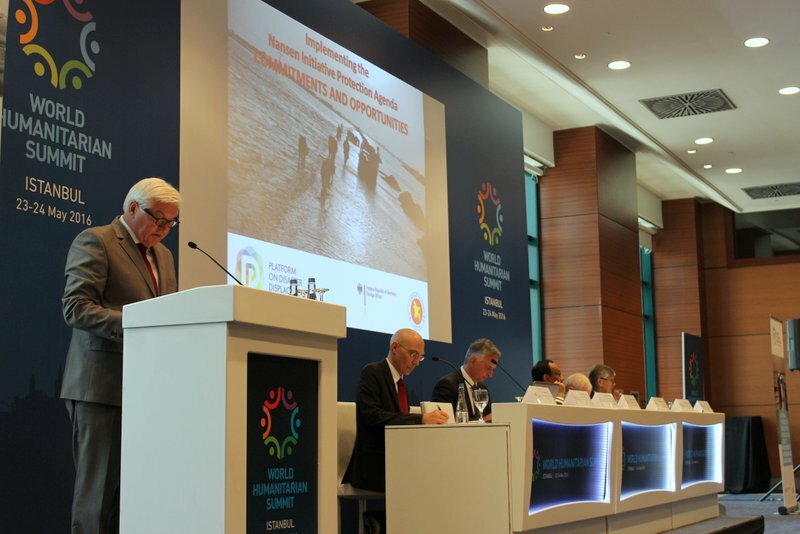 This challenge has to be considered when reviewing the 2° C goal”, said Prof. Walter Kaelin, Envoy of the Chairmanship of the Nansen Initiative and former Representative of the UN Secretary-General on the Human Rights of Internally Displaced Persons. The three expert reports were solicited by the Climate Vulnerable Forum specifically to inform decision-making on the 2 °C goal by the 196 parties to the UN’s climate convention. The Forum’s submission called for an opportunity for states to interact with these experts and consider other new information in an additional session later this year but prior to the Paris summit where a decision on whether or not to strengthen the present goal will be taken, including in respect of 1.5 °C. “It is less well-known that at the COP 21 – the Paris climate summit at the end of this year – governments must also take a decision on whether limiting the increase in the temperature to less than 2 degrees is adequate. Meeting that goal is central to much of what is already in place and what more is hoped to figure in a future Paris agreement applicable to major economies and small nations alike. If governments decide a more stringent limit is now needed because of the Review, including these studies, this will imply greater efforts by all across the board,” said Neil Buhne, Director of the United Nations Development Programme’s Geneva office, a Climate Vulnerable Forum partner. 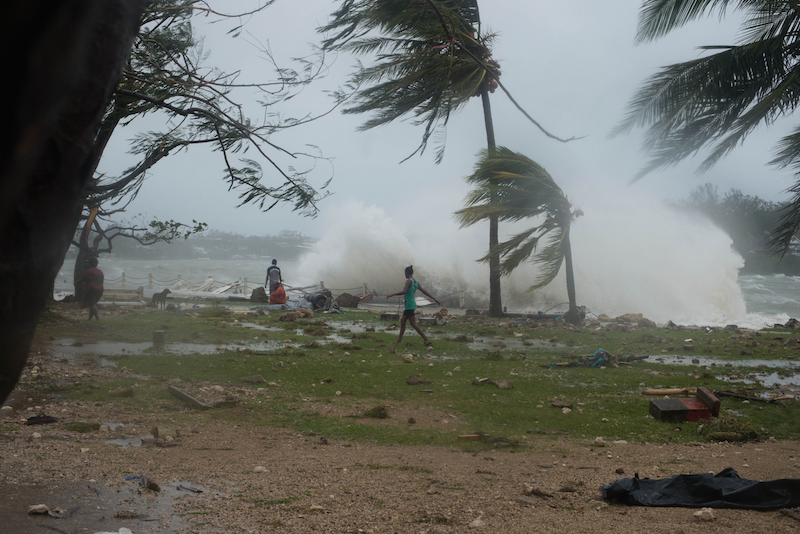 In March 2015, a statement issued for the Forum by Philippines following the devastation of member country Vanuatu by Super Cyclone Pam drew attention to dangers already entailed by human interference with the climate, emphasizing that limiting global warming to 1.5 degrees Celsius would help prevent unmanageable suffering and devastation.